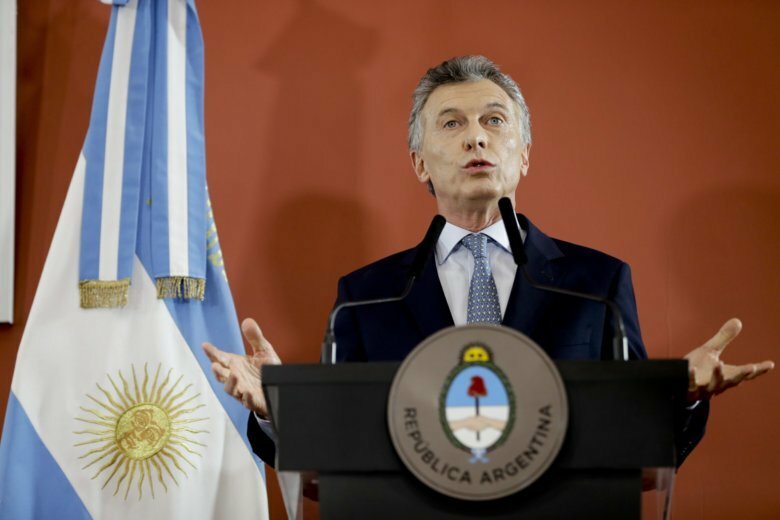 BUENOS AIRES, Argentina (AP) — Argentina’s president is celebrating the successful hosting of the Group of 20 summit, but he said Monday that he is ready for tough times ahead as his country confronts its economic crisis. President Mauricio Macri told The Associated Press in an interview that he took pride in organizing a secure gathering for the leaders of the world’s largest economic powers where they agreed on a final statement. Macri said Argentina struck about $8 billion in investment deals with other nations on the sidelines of the summit — most focused on energy, mining and infrastructure. Argentines continue to lose purchasing power to an inflation rate of around 45 percent, one of the world’s worst. A severe drought has damaged crop yields in the world’s third-largest exporter of soybeans and corn and the peso has depreciated by about half this year. The economic turmoil has fueled big protests, but Macri insists Argentina is on stronger footing following the IMF loan, support by world leaders at the G-20 meeting and a series of austerity measures aimed at bringing the government’s deficit to zero next year. The conservative president took office in 2015 promising to revive Argentina’s weak economy and end poverty. He has been credited with resolving a longstanding legal dispute with creditors that returned the country to global credit markets for the first time since its worst economic meltdown in 2001-2002. He also removed currency controls and ordered the government to publish credible statistics, which had been disputed by the IMF and analysts under his predecessors. But in an austerity push, Macri has also laid off thousands of state workers and cut energy subsidies, sending utility bills and bus fares soaring. His ending of foreign exchange controls ushered in the sharp devaluation of the peso. “Argentines decided to make a change for their future. I know it’s tough right now. For many, it’s tougher than they imagined it would be, but many things happened that were out of our reach,” Macri said. He declined to provide estimates for economic growth or inflation, citing volatility. Interest rate rises in the United States led investors to pull dollars out of Argentina earlier this year, while the U.S.-China trade war has rattled global markets. Macri and Chinese President Xi Jinping announced dozens of trade deals Sunday during a state visit following the G-20. China is among Argentina’s top export markets, especially for agricultural commodities that are the engine of its economy, and is also one of Argentina’s biggest lenders. Xi’s visit came after U.S. officials said they had reached a 90-day truce in the trade dispute with China that has imperiled economic growth. The breakthrough followed a Saturday dinner meeting between Xi and President Donald Trump. There have been questions about whether Argentina can pull off its strong ties with Beijing without provoking a negative response from the Trump administration. Macri said he suffers witnessing the effects of the crisis on Argentines. During the G-20, however, he was moved to tears during a cultural event celebrating Argentina. Trump, Germany’s Angela Merkel and China’s Xi were among leaders who gave a standing ovation at the end of the performance at the Colon Theater, the landmark in Buenos Aires that is one of the world’s great opera houses. Macri’s popularity ratings have plunged with the crisis, but he said he will run in next year’s election. His predecessor, Cristina Fernandez, maintains strong support and is tied with him in most polls even as she faces numerous formal investigations into alleged corruption during her 2007-2015 administration.